Virgo's most briliant and important star is Spica (α Virginis). This star helps to see Virgo. Other important stars are Zavijava (β Virginis), Porrima (ν Virginis) or Auva, also called Minelava. Because there is a galaxy cluster (the Virgo cluster) within its borders, this constellation is especially rich in galaxies. 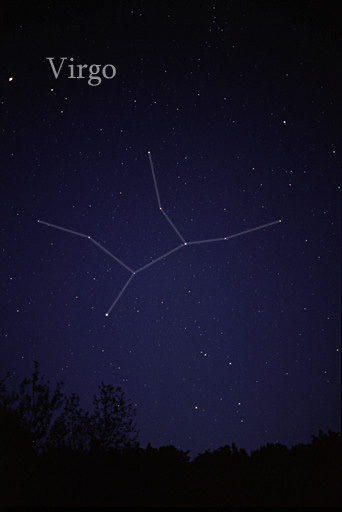 Wikimedia Commons has media related to Virgo (constellation). This page was last changed on 14 November 2016, at 19:36.